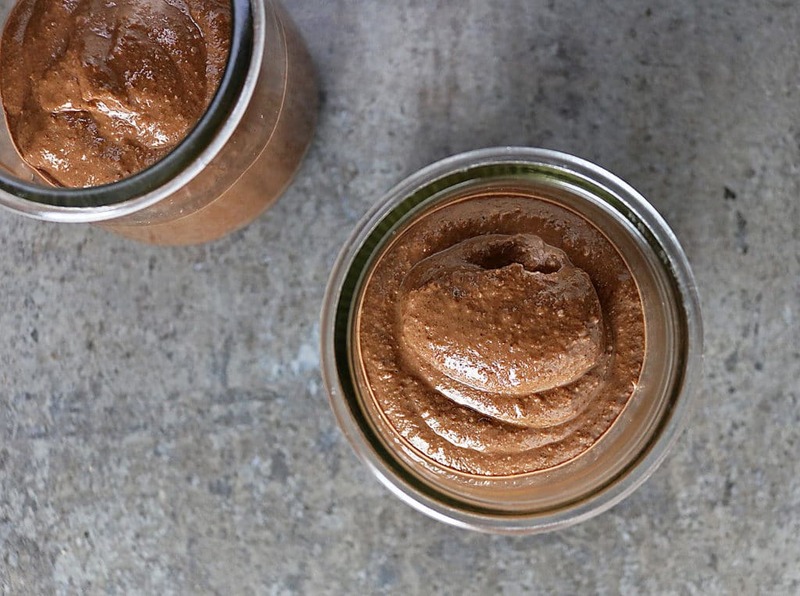 This Dairy Free Chocolate Cashew Pudding is a favorite in our home. It involves no baking or cooking and I’m hoping it will become a favorite in your home as well! I have found that sometimes sitting on a fence can get quite comfortable…minutes turn into months…and yup, I am still sitting there! I got on the fence regarding making a big purchasing decision between: a nut grinding blender or a high powered food processor months ago! And, I am still using my no-name, quirky blender. It was getting the job done just fine, which made me just put off making a decision; but lately, it’s not doing so well with nuts. And…Helen @ Scrummy Lane did!!! Kudos lady – virtual fist bump and high fives and hugs and hip hip hurrahs all around!!! To all of y’all that entertained my need for games and played along – thank you ALL!!! As a kid, my mom fixed me avocado pudding on a regular basis, when I was able to make it for my self I started adding chocolate to it (a few times, I even added protein powder to it and amped it up) – so, all of y’all that guessed avocado – y’all were right about most of the chocolate pudding bowls I make. But this time, after making this Non Dairy, No Bake, Chocolate Cashew Cake, I figured I would experiment some more with cashew cream, and ooh-la-la – this was one deeelightful bowl of chocolate! So sorry to have kept y’all waiting so long for this reveal – I attended my very first Food Blogger Conference on Friday and did not pre-plan a post. As for the conference, it was AH-MAZING to meet in person some lovely people who comment on here and who I have interacted with online…and…there was so much delicious food…and…so much information…I don’t think 8 hours have ever gone by as fast for me, as they did on Friday! Happy, Happy New Week Y’all! And thanks again for playing along! 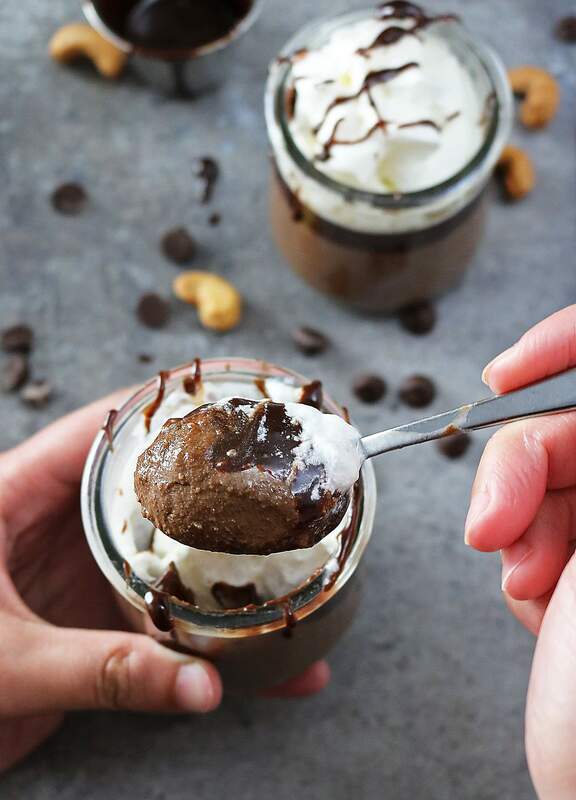 A dairy free, gluten free, totally creamy and delightful chocolate pudding - with a twist! I would love a huge bowl of this in front of me right now! Hope you had fun at your first food blog conference! Thanks Ashley!!! Ye – TECHmunch was fantabulous on so many levels! I wondered if it was nuts and then I thought I was being nuts. 🙂 I hate making decisions like this. I’d want them both. o yes, cashew ‘cheese’…must give this a try some time soon. I sure hope you do Angie! Why Why Why didn’t I look at your page before going to the grocery store. I definitely would’ve picked up some cashews. I suppose I’ll just have to drool of your photos until I get back there next week. Is that okay with you? Yeah.. well great! Good for you for going to the conference … that must have been so exciting and I hope I get a chance to do that very soon! CONGRATS Helen!!! Whoo hoo – you dabombdiggity lady!!! I hope you get to attend a conference too – one preferably that I am at so I can give you an-in-person high five! Huh! Should’ve guessed that! I use cashew cream all the time in my kormas! Can’t believe how luscious the pudding looks with no cream or gelatin. Great job! Happy Monday!! Thanks Nazneen – ooh cashew cream in your kormas??? Now I am salivating! Yay for no gelatin and for cashews! This looks delicious and I am completely surprised! when you put it like that…I understand TOTALLY!!! How healthy and delicious! A wonderful pudding. Thank you for your heartwarming comment/compliments/kind words! Thank YOU for your sweet comments, friend! You are one heck of an amazing photographer – don’t loose sight of that! Dangit! I was wrong again. And how amazing are those blogging conferences?! I really wish I could attend more of them because it’s such a great experience to be able to finally meet people that you’re usually only able to interact with via the blog. Hopefully we find ourselves at the same conference one of these days!! I thought for sure that last photo would give it away! Sweet lady – I cannot wait to meet you – you have been such an inspiration tome Spoons! This sounds delicious and looks so decadent. I would love to try this. Yum! 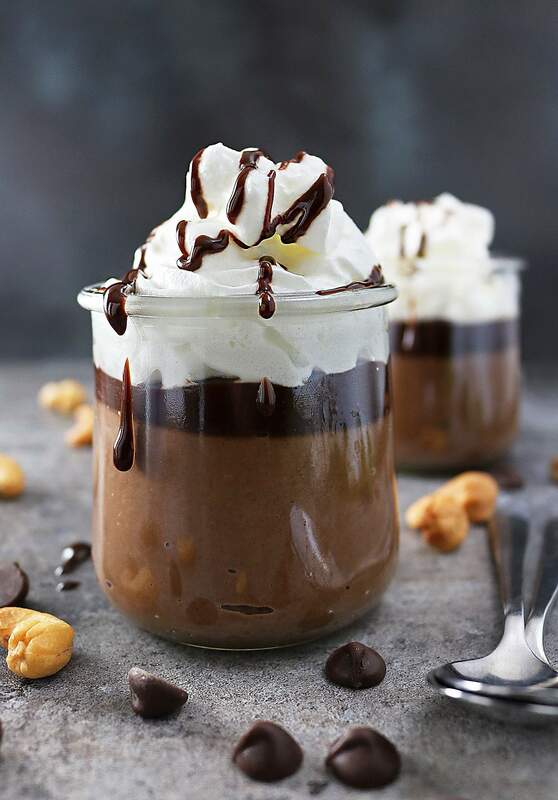 This pudding looks so luscious and creamy! Need need need need. Never have seen cashew pudding before, you do it again!!! This looks soooo yummy! Thanks so much Cassandra!!! Cashew cream is just so delicious! Love that you used raw cashews here, such a great idea. Looks delicious! Ahh, got it wrong! Avocado was too easy I guess 😛 must try cashews! Yum – I like cashews so why not get the extra protein?! Hope you are going to review the Food Blogger Conference! Thanks Kim – yup I did – hope this week has been going by smoothly for you. Yes – meeting bloggers face to face is indescribably – it’s like you form friendships and you know them online …and then y’all meet and it’s like you are meeting an old friend – for the first time…I hope I didn’t confuse you too much! 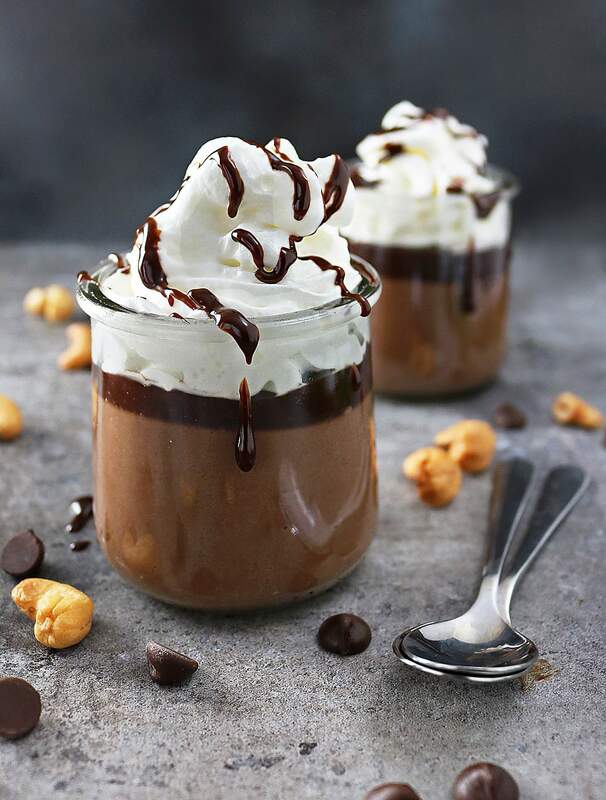 Chocolate pudding is one of my all-time favorite comfort foods, and I’m always sadly tempted by the store-bought cups. Your version looks so much tastier and healthier too! I love mousses made with soaked cashews, they’re so luscious and velvety. Great recipe Shashi! Ahhhh brilliant! I never would have guessed cashews, but that sounds amazing. The food conference must have been so fun! I wish I could have gone. I totally have to try this pudding. What a fabulous way to use cashews! Thanks so much Christin – I wish you had come too – maybe next year if they have it in Atlanta? Cashews!!! That makes total sense!! haha dang, one of these times I’ll guess correctly! And so glad to hear that you loved your first blogging conference! Maybe we’ll get to meet one of these days! I sure hope you guess correctly next time! I thought for sure that last photo would give it away…I am looking forward to meeting you my friend – soon!!! Arg!! Tricks??? Me??? No way!!!! David – I feel I am just wondering around in this blog world – that conference helped put so much into perspective – cannot wait to attend my next one! What’s the minimum soaking time for the cashews? Gah I really thought i might have been right this time! Oh well always next time 🙂 And cashews- wow, i never would have guessed that and i LOVE that idea! It just made already delicious looking pudding look even yummier! I never would have though cashews! Way to go Helen. You rock. Have a happy Tuesday Shashi! I thought that last photo would surely give it away – I though everyone would guess this … oh well…next time right? Hope you have a wonderful day and weekend Melanie! Cashews!!! Such a great idea!! And yay for your 1st conference! I just attended my 1st one as well and it was awesome! Hopefully we’ll get to meet at one of those sometime soon! Reading this and looking at the pictures I just kept nodding my head like “uh uh, this looks delicious, uh uh, must have”. MAJOR YUM GAL! Need to try this cashew fun dish! What an amazing pudding! I never would have guessed cashews! Love the pudding and the process. Tara – I don’t have a food processor either – I just threw it all in my blender! Loving your photos. 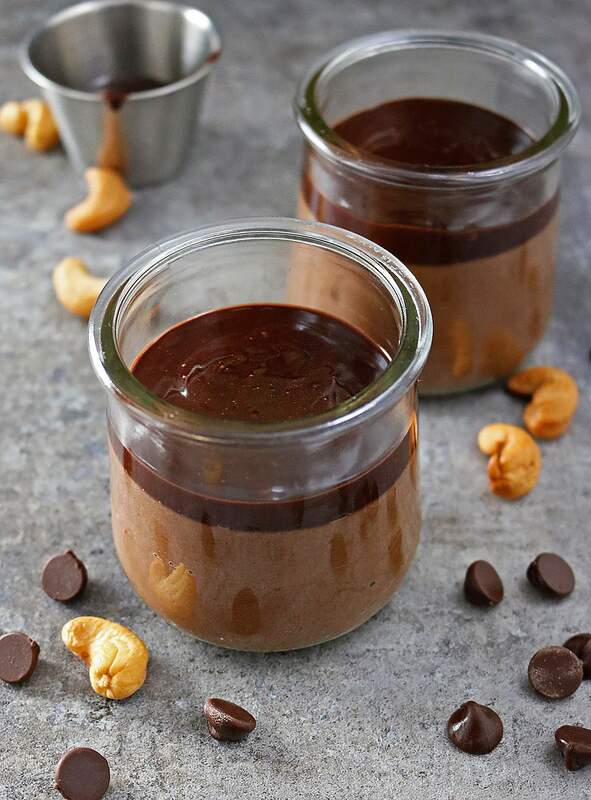 I enjoy eating cashews so I am sure I’d love them in this pudding! OMG! I’m drooling all over this pudding! Love the clicks! 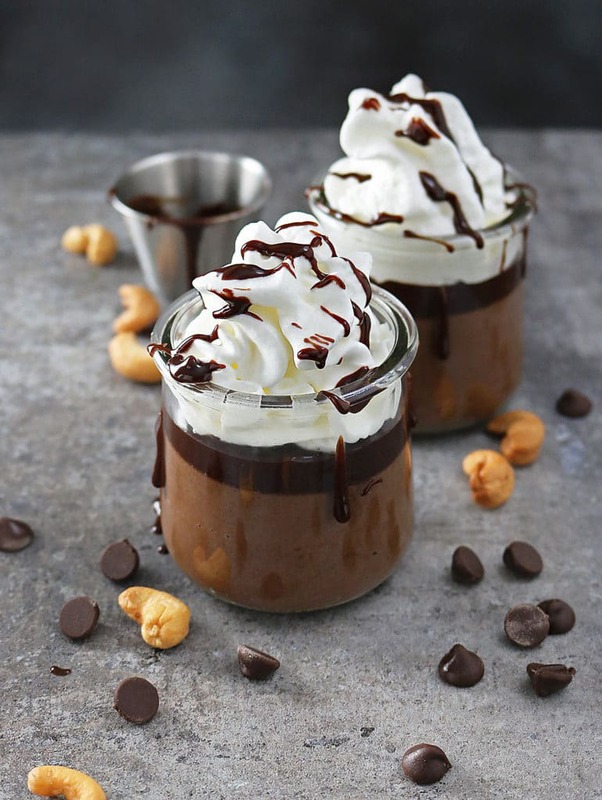 This pudding looks so good! Saw this on Instagram Shashi and could’t wait to check it out! No wonder it’s worth re-publishing (although I’m pretty sure your original photographs would have been perfect!) again. Yum double, triple yum yum! Ah, I remember when this one made it’s first appearance. Oh, the ‘mystery ingredient’ days…I remember that series fondly! You should do another post like that sometime. 🙂 Also, these photos? You killed ’em! They’re amazing. And that little bit of chocolate sauce dripping down the side. Perfection! How did you know I was craving chocolate today?? This looks divine! I have made pudding some times, They are so delish!! Such a decadent looking dessert, amazing, my mouth is watering! And I love those little jars, so pretty! cashews are my handy nut all the time but you know what , I never tired anything with cashews yet..uuuhhhh ! 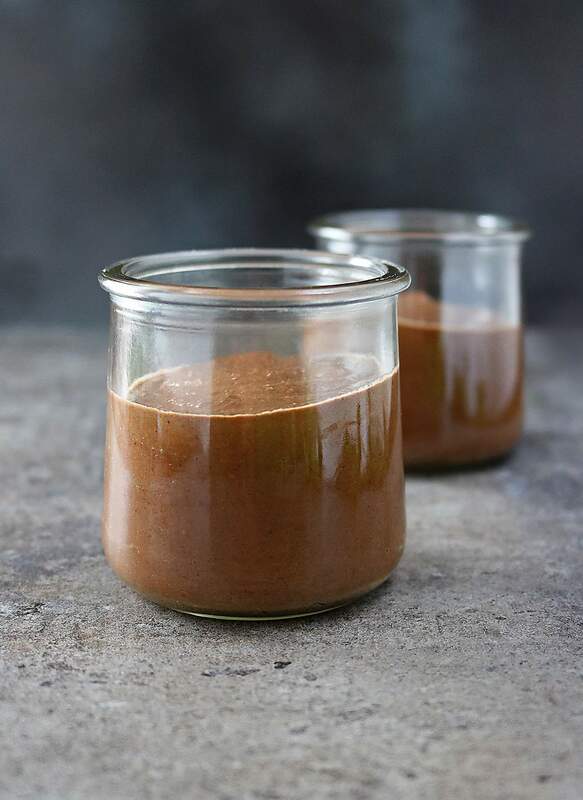 I really love this simple yet THE DELICIOUS pudding recipe + it is non dairy too. i am sure my family will love this. Hi..so I’m looking at making this soon. I’m just wondering how did u get the layered look? Light brown at bottom and the dark brown on top? As you just pour straight from.blender into a glass?